Track and manage all of your sent templates efficiently with the Signature inbox. 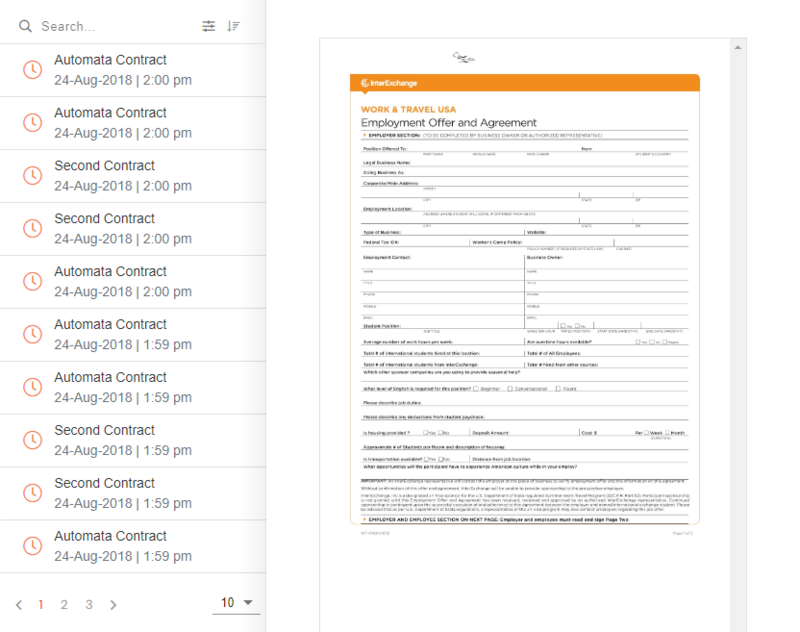 Use powerful filters to sort your growing list of forms, documents and contracts. 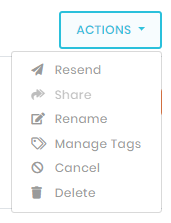 Resend or share completed templates with the click of a button. Going paper-free has never been so easy! Click on any recipient to view their unique template timeline. 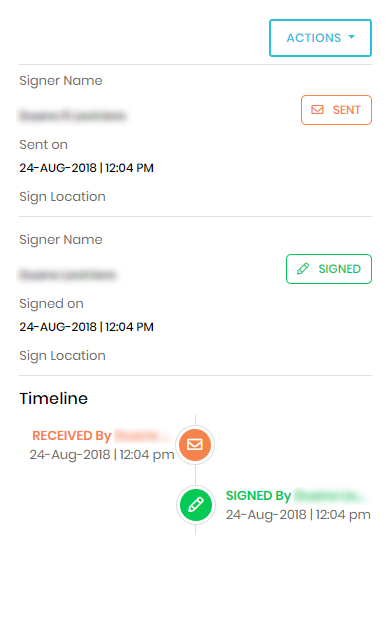 Review the timeline summary to get details on the recipients, the location of the template signing, and a chronological timeline of all the actions performed on the template. Click the Actions button to perform additional actions on the template, once it is in your inbox. Select Resend to send the template to the same recipients again. Select Share to share the template with another person, like the property owner. Select Rename to change the name of the completed template in your inbox. Select Manage Tags to add or remove tags from specific templates. 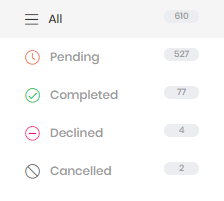 Select Cancel to void a pending or completed template. Select Delete to remove the template from your inbox completely. Use the filters in the sidebar to filter the templates list by status.